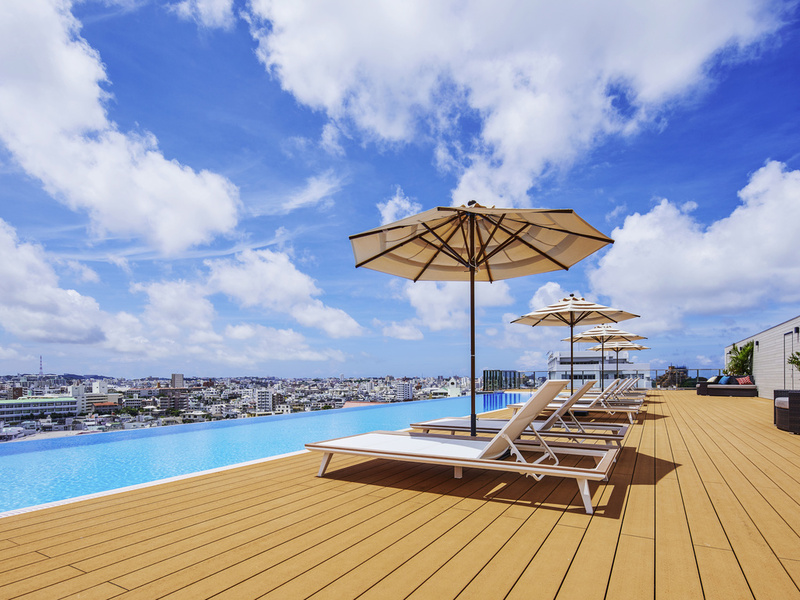 The concept of Novotel Okinawa Naha, with its commanding panoramic view of Naha city from the hills of Shuri, is experiencing modern easy living in our relaxed and comfortable environment. Enjoy your stay at this new hotel where you can enjoy both the elegant scent of the Ryukyu dynasty drifting in the air and its pleasant, refined atmosphere. Novotel Okinawa Naha is an upscale 328 room hotel. In addition to a Japanese restaurant and all day buffet dining, the hotel features 3 banquet rooms, an Infinity Pool, a gym and a Kid's Club to cater to all of your needs. Standard Room, 2 Single Beds - Non Smoking This room is 24 m² in size and features 2 single Simmons beds, complimentary WIFI, bathroom, bath amenities, slippers, night wear, bottled water and coffee set. It accommodates up to 3 persons. Deluxe Room, 2 Single Beds - Non Smoking This room is 34 m² in size and features 2 single Simmons beds, complimentary WIFI, bathroom, bath amenities, slippers, night wear, bottled water and coffee set. It accommodates up to 4 persons. All day buffet style restaurant. Enjoy both Japanese and Ryukyu cuisines featuring seasonal ingredients. The Gourmet Bar, a universal feature of the Novotel brand, is its signature cafe.